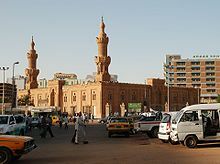 ^ Sudan: States, Major Cities, Towns & Agglomeration – Statistics & Maps on City Population. City Population. 2011 [12 May 2012]. ^ 3.0 3.1 3.2 3.3 Sudan. World Economic Outlook Database. International Monetary Fund (IMF). April 2016 [2016-06-05].